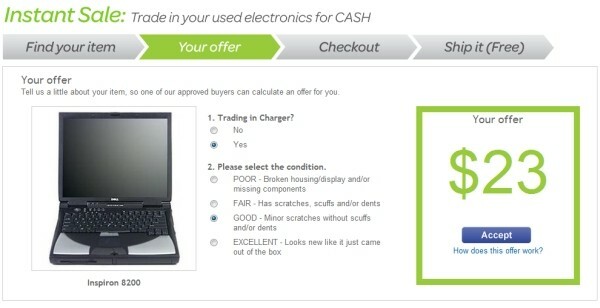 Recycle old gadgets (and make a buck or two) with eBay Instant Sale: "
You might already hawk your valuable old gadgets on eBay, but the auction house wants to broker your smaller transactions too -- that's why it launched eBay Instant Sale this last week. If you've got a (moderately recent) gizmo you want to get rid of right away, it looks as easy as can be -- answer the two questions above and get an instant offer, plus a free shipping label to mail it out. From the looks of a few sample queries, you won't get much for older items like the Dell Inspiron 8200 above, but we found a used Palm Pixi in good condition was worth a respectable $57, and even if your old featurephones aren't worth a cent, eBay's partners will recycle them for you and pay your shipping fees. Sure, you could donate the lot and write them off your taxes, but this sounds like it might be a worthy alternative to us. Fake TV for fooling burglars: "
I want one, not as a burglar deterrent, but as a comfort device. For $20 you can fund a Kickstarter project and get a Glif iPhone 4 tripod mount and stand. The video at Kickstarter has information about the designers / makers of the Glif, as well as examples of how to use the versatile gadget. The Glif will be manufactured with a Santoprene (grade 101-87) hard rubber. This material feels great to the touch, and holds the phone securely. It is also recyclable. Glif is the labor of love of just two individuals: Thomas Gerhardt and Dan Provost. We put a lot of thought and energy into this thing, and we hope you enjoy using it as much as we enjoyed making it. Additional information can be found at www.theglif.com. HRP-4: Meet Japan’s New And Awesome Humanoid Robot (Video): "
Japan’s National Institute of Advanced Industrial Science and Technology (AIST) has done it again. After having developed one of the most advanced cybernetic human robots out there (namely the HRP-4C we covered previously), it is now time for the next humanoid. Meet the HRP-4 [JP]. The HRP-4 is primarily designed for use at R&D facilities at universities and companies. It stands 151cm tall, weighs 39kg, and boasts a total of 34 degrees of freedom. Buyers can mount a laptop on its bag to add further functionality. 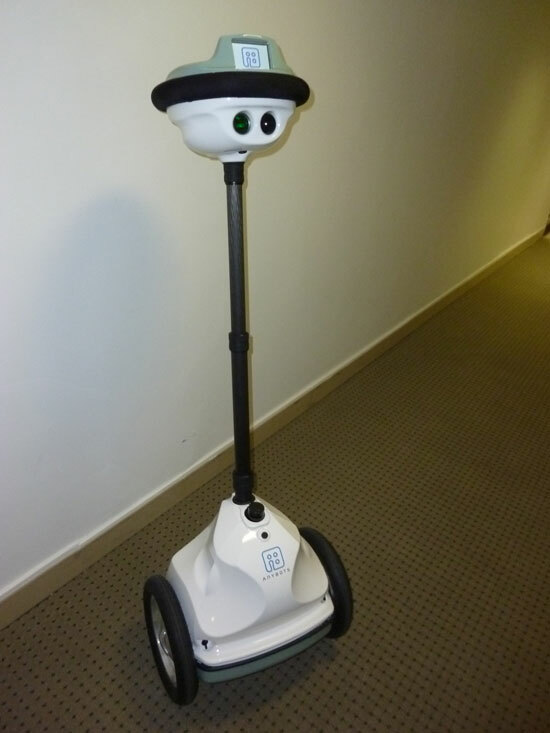 The robot can strike poses in response to voice commands, and it can also detect and track human faces and certain objects. 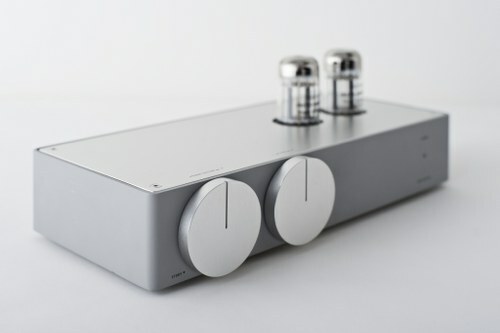 AIST and co-developer Kawada Industries plan to start selling the HRP-4 in January next year. The robot itself plus the software necessary to control it will cost $325,000. Solar Powered Airplane Flies for 26 Hours Straight: "
Not that I am in the market but when I am, I always want to find something like this and never can. The Best Graphics Cards at Every Price [Graphics Cards]: "
iOS To Make Its Desktop Debut With Next iMac Revision? : "
The next Apple TV revealed: cloud storage and iPhone OS on tap... and a $99 price tag: "
If you thought that Apple's foray into the world of home entertainment died with the last iteration of the Apple TV, you're quite wrong. A tip we've received -- which has been confirmed by a source very close to Apple -- details the outlook for the next version of the Apple TV, and it's a doozy. According to our sources, this project has been in the works long before Google announced its TV solution, and it ties much more closely into Apple's mobile offerings. The new architecture of the device will be based directly on the iPhone 4, meaning it will get the same internals, down to that A4 CPU and a limited amount of flash storage -- 16GB to be exact -- though it will be capable of full 1080p HD (!). The device is said to be quite small with a scarce amount of ports (only the power socket and video out), and has been described to some as 'an iPhone without a screen.' Are you ready for the real shocker? According to our sources, the price-point for the device will be $99. One more time -- a hundred bucks. Not only will this be priced to sell (like hotcakes), it seems that Apple is moving away from the model of local storage, and will be focusing the new ATV on cloud-based storage (not unlike Amazon's streaming scheme, though we're talking instant-on 1080p, a la Microsoft). For those still interested in keeping their content close, there will be an option to utilize a Time Capsule as an external storage component, but the main course will be all about streaming. The new ATV will do away with its current OS X-lite variation as a operating system, and will instead adopt the iPhone OS for the underlying experience. There's no word at this point on whether apps and the App Store will be coming along for the ride, but it makes sense given the shared platform. Of course, scaling iPhone apps to that 52-inch plasma in your living room isn't exactly a no-brainer. Perhaps not surprisingly, Apple won't deliver the ATV news at the upcoming WWDC -- that event will be focused on the capabilities of the new iPhone -- but development on the product is most definitely full steam ahead. 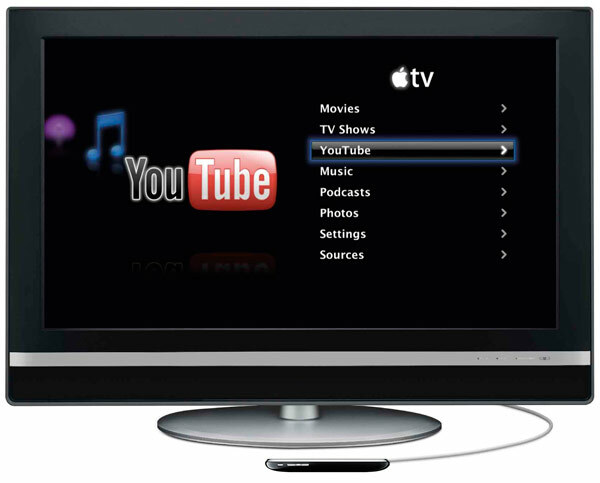 Is your TV screen the next battleground in the platform wars? Survey says: hell yes. Oh yeah, this is just brilliant. All I can say is WOW. Imagine the possibilities for chair-users and other handicaps. Not to mention racing around the office like the Jetsons! We just had a chance to go hands... er, rear-on with Honda's latest R&D experiment, the U3-X Personal Mobility Device, and we've got the say -- it was a moving experience. If you'll recall, the tiny, uni-wheeled unit is built on the same balancing principles which the company's ASIMO uses, and utilizes the world's first omni-directional driving wheel system. What does all that mean? Well, it means that when you sit down on the thing, it moves in whatever direction you lean in, however slightly. The experience is kind of amazing, as it requires very little effort on the rider, and though you feel like you could easily go flying off of the U3-X, you always retain a solid center of balance. As opposed to something like the company's Walking Assist devices (which you can see us taking for a spin right here), this is a totally effortless experience. It just goes where you want it to -- almost by suggestion. There's no telling if Honda will ever bring something like this to market -- they're notorious for crazy projects that never see the light of day on store shelves -- but it's an amazing look into the potential future of transportation. 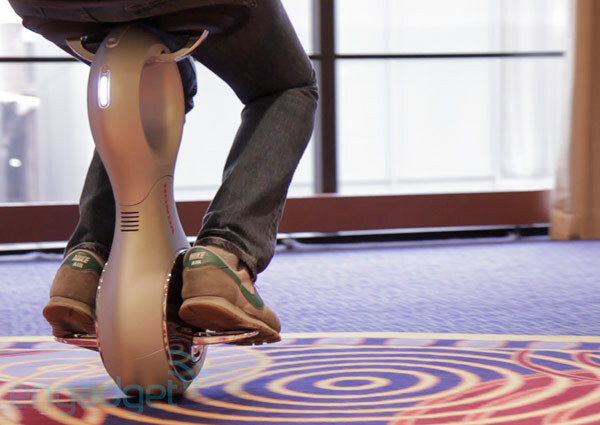 If you thought the Segway was a little big for your taste, this could be the answer to your prayers. As far as we're concerned, now that we've taken a ride on the U3-X, walking just feels like a chore. See for yourself what it looks and feels like in the video after the break! What is it about having a whole lot of storage in your pocket that just makes a geek feel good? It's like our version of carrying a handgun: even if you don't ever plan on using it, it's nice knowing that you could. High up on this week's wish list is Corsair's Flash Voyager Mini, a USB 2.0 flash drive that now comes in a 32GB capacity. That's a lot of power, pilgrim. This is a cap-less, retractable USB, which opens with the flick of a thumb. Sweet. 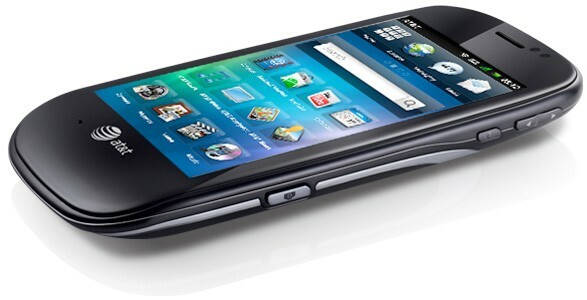 It has a durable rubber casing, so you don't need to worry about it getting scuffed or damaged. Corsair's site currently lists only one seller: Amazon has the 32GB drive for $100.99 (with free shipping). That's a lot of power, but I bet you can handle it. Two new foldable solar chargers from AmbienTech have hit the market. But...They look a little odd, right? That's because they're the first mobile chargers to use spherical solar cells. Each cell has around 1,900 spheres collecting solar energy. They're strong, bendable, and just look cool. If you've ever tried to transfer large files to a Flash drive, you know that not all drives are created equal. Copying massive amounts of data can take massive amounts of time if your drive is pokey. For a faster transfer, check out the new Corsair GTR line. The quad-channel architecture used in this series delivers read speeds up to 34MB per second and write speeds up to 28MB per second, which is close to the maximum transfer rates supported by the USB 2.0 interface. 'The Flash Voyager GTR combines the best features of a USB Flash drive and the performance of an external hard drive to provide the ultimate data portability tool,' says John Beekly, Corsair's vice president of technical marketing. The Flash Voyager GTR drives will be available in 32GB, 64GB, and 128GB capacities. They offer durable, water-resistant rubber housing to protect against accidental damage. So far, only the smaller two versions are listed on the Web site. 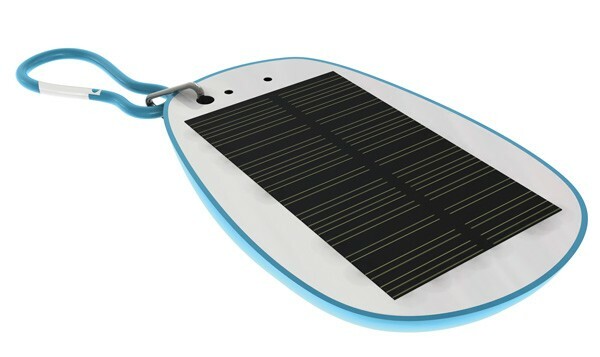 Engadget has another great solar charger listed as arriving soon. Unlike many solar devices that require an abundance of intense sunlight to be useful, XPAL's new Solar Egg does its thing even in 'medium levels of natural light.' The magic SunBoost solar conversion technology is supplied by a company called Intivation from The Netherlands, a country that's not exactly know for its tropical weather. XPAL claims that the internal 500mAh battery can be charged at over 90% capacity in just four hours of average sunlight exposure and can detect a 'wide range of devices' like MP3 players and digital cameras to provide the appropriate level of power for charging. It'll ship next month to select regions -- where that is we can only guess for now. How the Air Force Biomorphic Micro Air Vehicles Will Spy and Kill Unnoticed [Weapons]: "
I thought the Micro Air Vehicles would be small hovering robots but, according to this video from the Air Force Research Laboratory, they will be more like robotic birds with spy and attack capabilities, capable of blending with the environment.